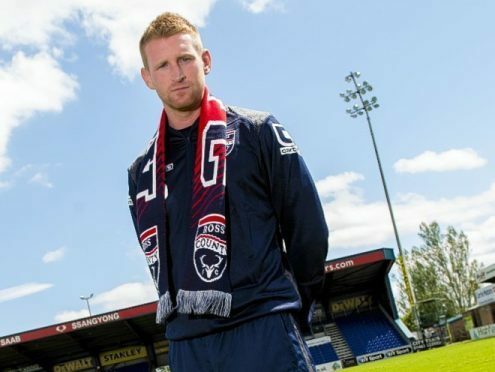 Ross County defender Chris Robertson has been released on a free transfer. Robertson made the move to Victoria Park last summer after leaving Port Vale at the end of the previous season. The Dundee-born defender was making a return to Scotland, where he left at the age of two when his parents moved to Nottingham. Having spent his entire career in the English lower leagues, with Sheffield United, Torquay United and Preston North End, Robertson, pictured, was keen to test himself in the Scottish Premiership for the first time. Chris Robertson has terminated his contract with RCFC by mutual consent. We thank Chris for his contribution & wish him well for the future.